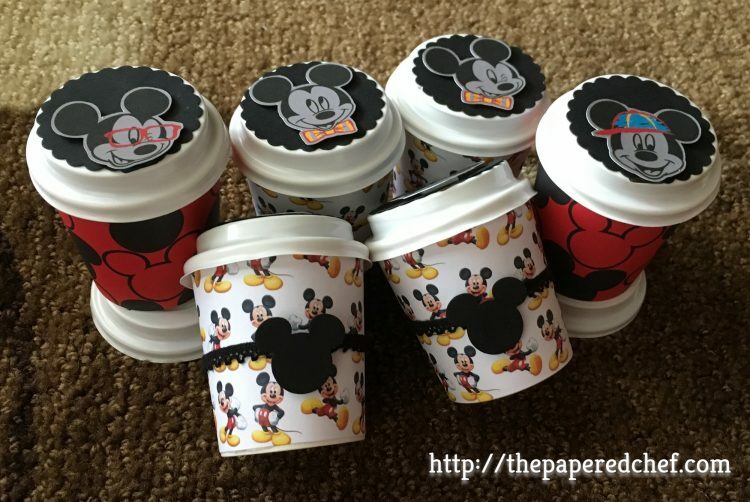 Using the Big Shot, cut the coffee cup cover from the Disney paper. 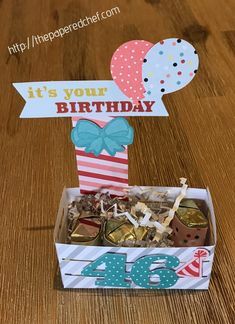 It is a light card stock and therefore, you can cut out two layers at the same time. Attach the coffee cover to the cup using rolling adhesive. Use the Brother Scan N’ Cut to cut out Mickey embellishments for the top of the cup (Cutting out Mickey Mouse with the Brother Scan N’ Cut). Punch out the 2” circle or scallop circle for the top of the cup. Punch out Mickey heads from black card stock. Use Vintage crochet trim around the cup. 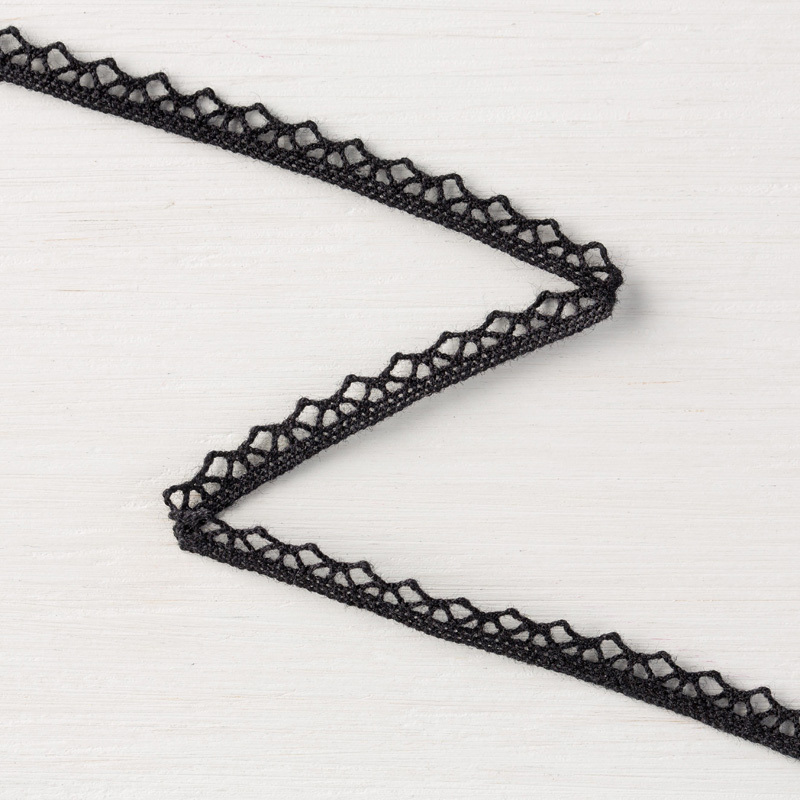 Attach the trim with glue. 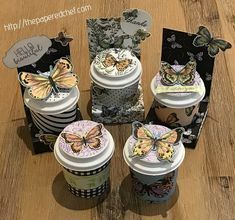 Attach the embellishments using glue dots or foam adhesives. Really cute!! Who doesn’t love Mickey Mouse??! !